It’s Dine Out Vancouver time! This year I chose to go to Diva at the Met. I actually had no idea where the Met was before but it turns out that it’s right next to the Hotel Georgia and across from Four Seasons so it’s in a very convenient location. The restaurant has a separate entrance beside the hotel’s main entrance. The restaurant has 3 small levels separate by a few steps but it makes it feel rather grand when you’re walking to your table. I also got a great view of the open kitchen! 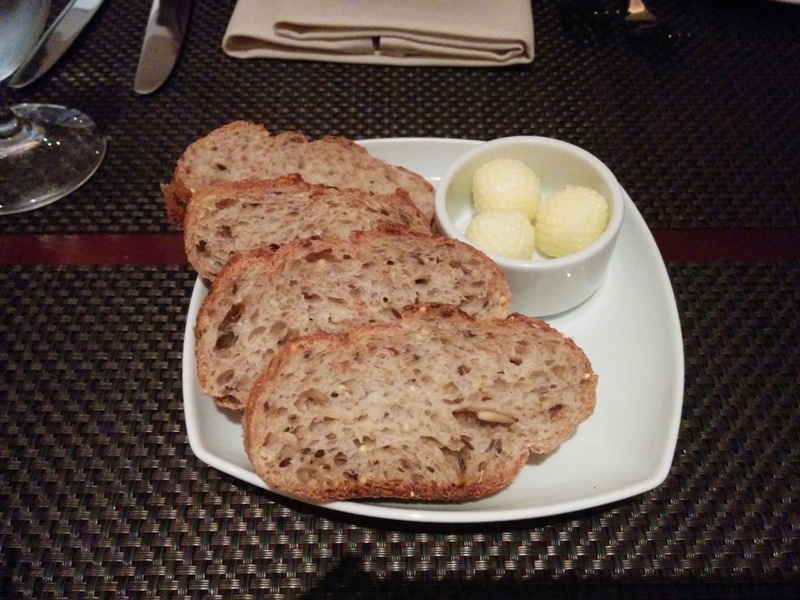 To start, we were served some complimentary bread with butter. 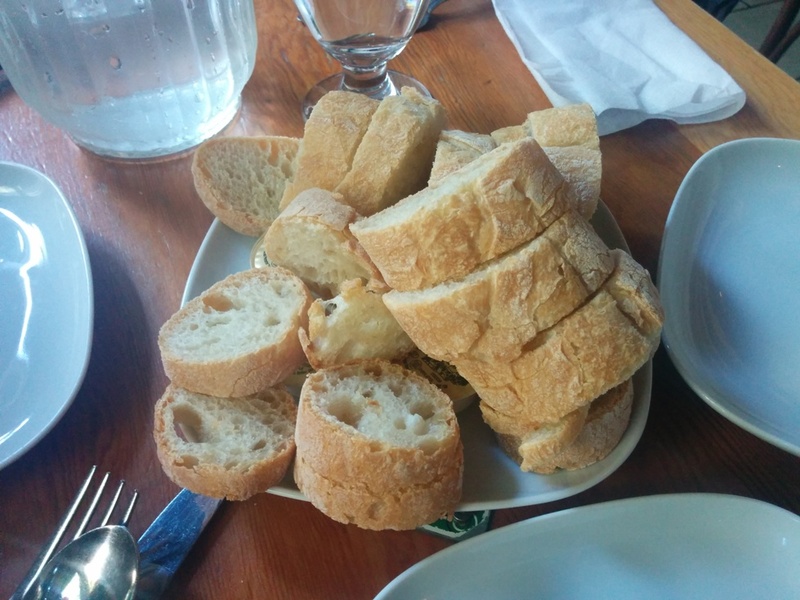 The server said it was a whole grain bread and there was also an olive bread but I think they were all whole grain since they all looked the same to me. It was soft and served at room temperature. This entry was posted in Food Reviews, West Coast and tagged beef carpaccio, dine out Vancouver, halibut, tiramisu.